ellie206*123 has no other items for sale. 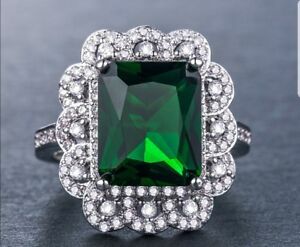 Details about Beautiful vintage look Emerald and White Topaz Silver Plated Ring Size O 1/2. Beautiful vintage look Emerald and White Topaz Silver Plated Ring Size O 1/2.